Discussion in 'Fight Club' started by naveen_reloaded, Oct 30, 2006. Isn't Pastafarianism the people from the Church Of The Flying Spaghetti Monster? 11% Roman Catholic, despite being brought up as a Roman Catholic. Over 11 years in this forum, I never voted in this thread. over 10 years in this forum, i never understood purpose of this thread. The only purpose of this thread is to disturb the decorum of the forum. Like seriously, the only purpose is to create strife. Though I am willing to throw down, so I guess I am a sucker for these kind of things. No, the failure is that human beings are not interested in wisdom like this. Learning and applying this in your life requires a certain degree of intellect that no one is willing to apply. Everyone is more obsessed with identity than values. Edit: Humans are pathetic creatures, basically. 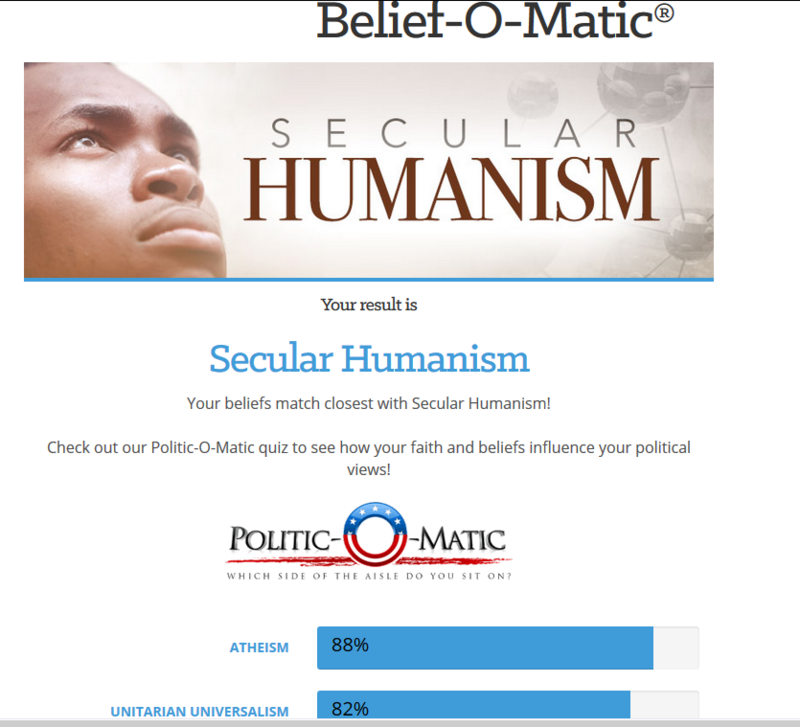 Though I usually don't take these quizzes, I got Secular Humanism in this. I took the quiz as well. It's a stupid quiz. 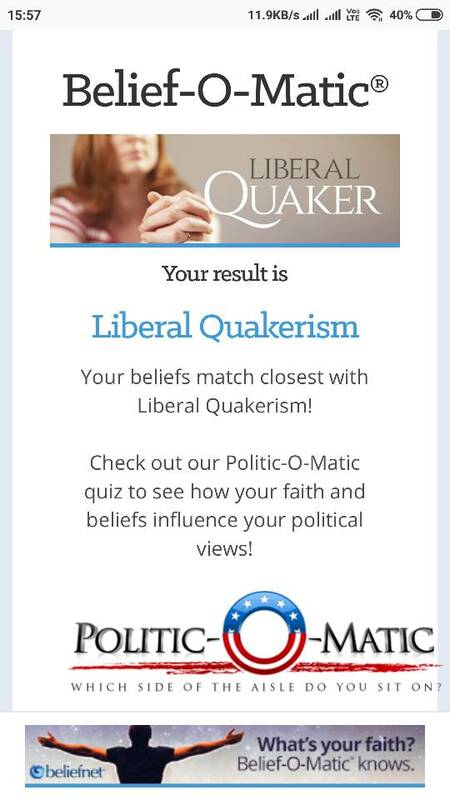 For all I know of myself, my beliefs should match with those of confused duckerism.